As a result of a successful collaboration in 2008, Wound Care Education Institute® (WCEI) will again partner with the, Wisconsin Health Care Association, Wisconsin Association of Homes and Services for the Aging and Metastar, in a statewide initiative directed at educating nurses within long-term care facilities in skin and wound management and the prevention and treatment of pressure ulcers (also known as bedsores). The National Pressure Ulcer Advisory Panel defines a pressure ulcer as a localized injury to the skin and/or underlying tissue usually over a bony area, as a result of pressure. This initiative also allows these nurses the opportunity to become certified in wound care as a WCC® (Wound Care Certified). WCEI will provide wound care training at a reduced price to 200 experienced nurses working in Wisconsin long-term care facilities. Upon successful completion of the training, those nurses become eligible for WCC certification through the National Alliance of Wound Care® (NAWC®). The National Alliance of Wound Care is a nonprofit credentialing board and member association dedicated to the advancement of excellence in wound care through the certification of wound care practitioners in the United States. “We are excited that the Wisconsin healthcare organizations invited us to continue on the accomplishments of their 2008 initiative to improve patient care. The success of that program has allowed us to expand this initiative to a second phase in 2011”, said Nancy Morgan RN, BSN, WCC, Co-Founder of the Wound Care Education Institute. Classes and WCC examinations will commence in early 2011. For complete details of the WI Wound Care Initiative, please go to the website, http://www.wcei.net. The mission of the Wound Care Education Institute is to develop multi-disciplinary wound care professionals in the United States by offering educational programs and clinical support, based on up-to-date wound care research, trends, and evidence-based practice. The Wound Care Education Institute offers a comprehensive skin and wound care training program at locations throughout the United States. The following is taken from the National Pressure Ulcer Advisory Panel’s website. As wound care certified professionals, are we all consistently documenting and defining the pressure ulcers correctly. We have included an excerpt from NPUAP’s site below. The National Pressure Ulcer Advisory Panel has defined the definition of a pressure ulcer and the stages of pressure ulcers, including the original 4 stages and adding 2 stages on deep tissue injury and unstageable pressure ulcers. This work is the culmination of over 5 years of work beginning with the identification of deep tissue injury in 2001. Deep tissue injury may be difficult to detect in individuals with dark skin tones. Evolution may include a thin blister over a dark wound bed. The wound may further evolve and become covered by thin eschar. Evolution may be rapid exposing additional layers of tissue even with optimal treatment. Intact skin with non-blanchable redness of a localized area usually over a bony prominence. Darkly pigmented skin may not have visible blanching; its color may differ from the surrounding area. Partial thickness loss of dermis presenting as a shallow open ulcer with a red pink wound bed, without slough. May also present as an intact or open/ruptured serum-filled blister. Presents as a shiny or dry shallow ulcer without slough or bruising. * This stage should not be used to describe skin tears, tape burns, perineal dermatitis, maceration or excoriation. The depth of a stage III pressure ulcer varies by anatomical location. The bridge of the nose, ear, occiput and malleolus do not have subcutaneous tissue and stage III ulcers can be shallow. In contrast, areas of significant adiposity can develop extremely deep stage III pressure ulcers. Bone/tendon is not visible or directly palpable. The depth of a stage IV pressure ulcer varies by anatomical location. The bridge of the nose, ear, occiput and malleolus do not have subcutaneous tissue and these ulcers can be shallow. Stage IV ulcers can extend into muscle and/or supporting structures (e.g., fascia, tendon or joint capsule) making osteomyelitis possible. Exposed bone/tendon is visible or directly palpable. Full thickness tissue loss in which the base of the ulcer is covered by slough (yellow, tan, gray, green or brown) and/or eschar (tan, brown or black) in the wound bed. Until enough slough and/or eschar is removed to expose the base of the wound, the true depth, and therefore stage, cannot be determined. Stable (dry, adherent, intact without erythema or fluctuance) eschar on the heels serves as “the body’s natural (biological) cover” and should not be removed. For more information about Pressure Ulcers and Staging and how to become Wound Care Certified, please visit our registration page. To most of us in the Health Care industry, nursing in particular, it is obvious that the best ways to heal wounds is to prevent them in the first place. Sometimes however, that is not so obvious to members of the health care team that care for our patients both young and old and in-between. There are many reasons that can be attributed to that ignorance but that is not the reason for this post. That ignorance can be addressed through further education. She recommended that caregivers assess four factors to determine an individual’s risk for heel pressure ulcers: age older than 70 years, diagnosis of diabetes, decreased mental status, and lack of movement in the legs and feet. Also, consider whether individuals are ambulatory, walk with assistance, or are confined to bed, she said. Caregivers should take some precautions to prevent heel pressure ulcers even in individuals who are at low risk, Dr. Ratliff said. Check the circulation in the affected area, check whether the skin is warm or cool to the touch, examine the feet for redness, and apply moisturizer to the heels. Encourage individuals to get out of bed at least three times a day if possible. If that doesn’t happen, consider a pressure-redistributing mattress. Individuals who are at higher risk, or those who already have a heel pressure ulcer, require stricter interventions, she said. Assess the patient and apply moisturizers more often, work hard to get the individual mobile, and perhaps use devices that take pressure off the heels. You can read the rest of the article here . What else can we do to assist preventing wounds from developing on our patients? As Wound Care Certified professionals, we can educate the public before and after they become our patients. Writing articles and submitting them to the web via blogs, making videos that speaks to our knowledge about prevention of wounds is an area that we can improve upon. Diabetic screening and education can be another example of how we can possible prevent development of ulcerations. For example we could do more foot examinations as part of a community outreach. All individuals with diabetes should receive an annual foot examination to identify high-risk foot conditions. This examination should include assessment of protective sensation, foot structure and biomechanics, vascular status, and skin integrity. People with one or more high-risk foot conditions should be evaluated more frequently for the development of additional risk factors. People with neuropathy should have a visual inspection of their feet at every visit with a health care professional. A great resource for any Wound Care or Health Care Provider is the Skin and Wound Resource Manual Use the resources that are available to you. Teach the people you care for to take care of themselves before and when they develop wounds. Prevention of the wound prior to it develops is the best way to heal it! Yesterday was a preview of September 10, 2009 and the Pre-Conference Sessions for this year’s Wild on Wounds Conference. Below are some descriptions of the sessions for Friday September 11, 2009. We have some awesome speakers and interesting sessions lined up for you so check them out and get ready for Las Vegas!!! for President Bill Clinton at the Paramount Theater in Seattle. and research. There will be time for an interactive audience question and answer period. wounds. Seats are limited! Sign up now! for the spine and pelvis, and demonstrate how to choose the appropriate cushions and properly fit wheelchairs for your patients. The Diagnostic Basis of Wound Healing: The Lab and Beyond . . .
review of diagnostic tests and laboratory values that are critical for assessment and monitoring of wound and skin therapy. 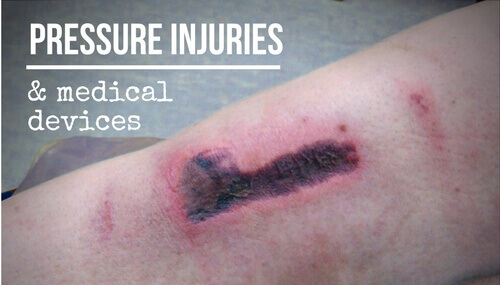 presented for management of pressure ulcers and other types of common wounds seen at end of life. about correct terms, techniques, and steps it will take to keep you out of trouble. For those of you interested in becoming wound care certified, come to the Wild on Wounds Seminar in Las Vegas and learn from some these outstanding speakers. For details about becoming wound care certified go to WCEI.net. We have some great sessions and a lot to learn. Come out to Las Vegas and meet up with your colleagues to learn about all of these great topics. Register Here.